Research suggests that some mesothelioma patients may be especially sensitive to drugs that inhibit this crucial signaling pathway. BAP1 protein loss was associated with enhanced sensitivity to FGFR inhibition. 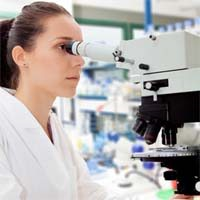 A study conducted in England and The Netherlands may open the door to new kinds of mesothelioma treatments using drugs that block the fibroblast growth factor receptor (FGFR) signaling pathway. Surviving Mesothelioma has the full story. Click here to read the article now. Research at The Netherlands Cancer Institute and University College London suggests that mesothelioma patients with a mutation on the BAP1 gene may be more responsive to FGFR inhibitors. “BAP1 protein loss was associated with enhanced sensitivity to FGFR inhibition,” writes author, Josine Quispel-Janssen, MD, a thoracic oncologist at Netherlands Cancer Institute. "BAP1 protein loss...could serve as a potential biomarker to select patients for FGFR inhibitor treatment." According to the study published in Clinical Cancer Research, the FGFR pathway is a tyrosine kinase signaling pathway that plays an important role in the development and growth of cancers such as malignant pleural mesothelioma. To read more about FGFR and its potential significance in the development and treatment of malignant pleural mesothelioma, see FGFR Inhibitors May Offer New Way to Treat Malignant Pleural Mesothelioma, now available on the Surviving Mesothelioma website.